In the new revision history interface, you can see what changes were made at a glance. Click on a time stamp in the right column to see what changes were made at a given time or use the arrow keys to quickly scan through many revisions. 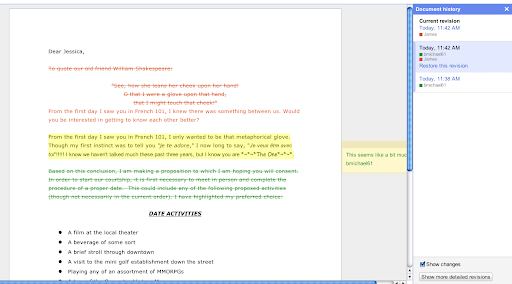 Changes are color-coded based on each collaborator, making it easy to tell what has been added or deleted. 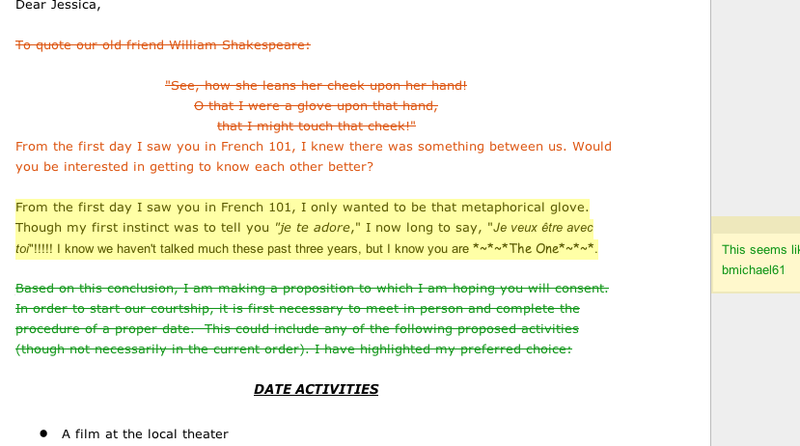 For example, in the screenshot below, James (whose edits are highlighted in orange) deleted and added text while bmichael61 (whose edits are highlighted in green) removed a paragraph and added a comment. Time stamps are also improved in the new interface. We’ve heard requests for time to always be listed, even for very old revisions and we’re listening: you can now tell afternoon edits apart from all-nighters. The interface also batches revisions into groups of changes to make it easier to understand how a document has changed over time. 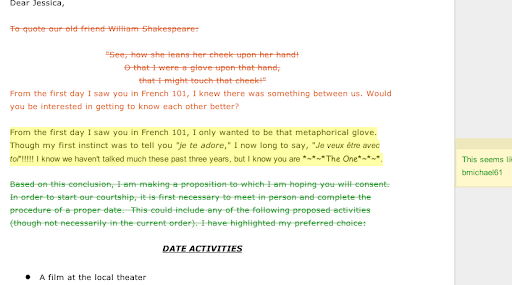 To see a finer-grained list of revisions, click Show more detailed revisions. 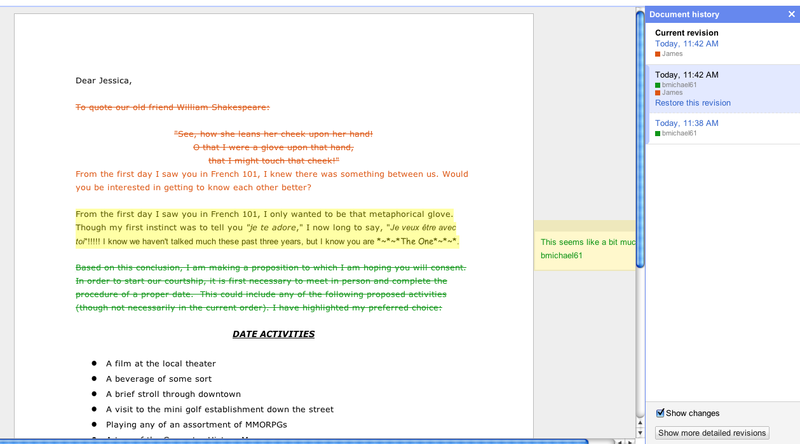 This is just a first step for the new revision interface for Google Docs. We’re looking forward to more revision improvements in the future. Let us know what you think in the comments. 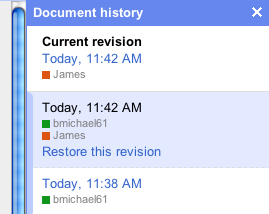 We’re happy to announce that a new revision history interface is now available in Google documents. To see it, go to File > See revision history.